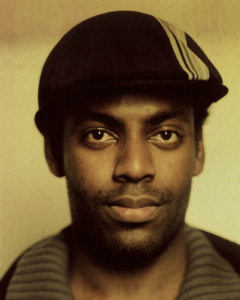 BARON VAUGHN recently released his first comedy recording, Raised By Cable, produced by AST Records, available at Amazon (mp3 and CD), and iTunes. Baron’s performed stand-up on Conan (twice), Late Night with Jimmy Fallon, The Late Late Show with Craig Ferguson (below) and has had numerous appearances on Comedy Central most recently in the form of his own “Half Hour” comedy special. He’s performed in the HBO U.S. Comedy Arts Festival (Aspen), The Just for Laughs Comedy Festival (Montreal), The South Beach Comedy Festival (Miami), Moontower Comedy Festival (Austin), San Francisco Sketchfest, Bridgetown Comedy Festival (Portland), Vancouver Comedy Festival, All Points West Music Festival (New Jersey), FYF Music Festival (Los Angeles), Bonnaroo Music and Arts Festival (TN), and Bumbershoot Music and Arts Festival (Seattle). He has also appeared in many shows on VH1, MTV, FUSE as well as the films Black Dynamite, Cloverfield, The Other Guys (Deleted Scenes), and was a series regular on USA’s recently canceled Fairly Legal (2010-2012).